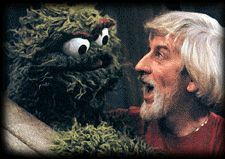 Oscar the Grouch may have opposed it, but the Children's Television Workshop became Sesame Workshop on Monday after more than 30 years bringing Big Bird, Bert and Ernie, and Snuffleupagus to children around the world. "We've changed our name from Children's Television Workshop to Sesame Workshop,'' said the producer of the popular "Sesame Street'' and other children's shows, mostly for Public Broadcasting Service television, which is funded by viewers, corporations and the federal government. "Why? Because the media world our children inhabit is so much more than television,'' the non-profit educational organisation said in a statement. "Today we have an even greater opportunity to help change the nature of children's learning experiences with interactive media." Sesame Workshop's products now include television, online, CD-ROMs, magazines, books, films, community outreach and licensing. "Sesame Street'' is in its 31st season on PBS. Several of Sesame Workshop's programmes, including "The Electric Company,'' "3-2-1 Contact,'' and "Square One TV,'' can now be found on Noggin, the 24-hour-per-day kids' channel, a joint venture with Viacom Inc. (NYSE:VIA - news)-owned Nickelodeon. No details of its revenues were immediately available. The Workshop, which created "Sesame Street'' more than 30 years ago, fundamentally changed the nature of children's television. It was based on the belief that television could help children learn and that research could determine how best to reach educational goals. Workshop programming is now aired in 148 countries.